Glucomol® (Timolol Maleate) is a nonspecific beta blocker with no significant intrinsic sympathomimetic activity. Being water soluble and free from local anesthetic properties, the drug is suitable for topical administration. One drop twice daily or as advised by the Ophthalmologist. Glucomol (Timolol) is indicated in chronic open angle glaucoma, ocular hypertension aphakic glaucoma, secondary glaucoma. 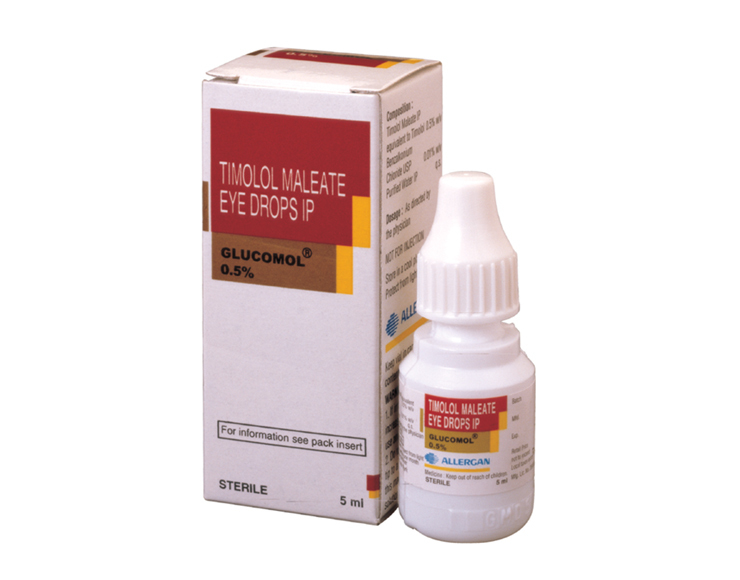 Glucomol® 0.5% is available in 5 mL plastic dropper bottle containing ophthalmic solution of Timolol Maleate 0.5% strength.